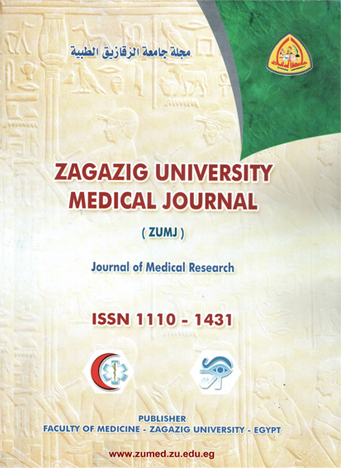 1Internal Medicine Department, Faculty of Medicine, Zagazig University, Egypt. Background: The current guidelines recommend the screening of all cirrhotic patients by endoscopy, but repeated endoscopic examinations are unpleasant for patients and have a high cost impact and burden on endoscopic units. Recognition of non-invasive predictors of oesophageal varices (OV) will allow upper gastrointestinal tract (GIT) endoscopy to be carried out only in a selected group of patients, thus avoid unnecessary intervention and at the same time not to miss patients at risk of bleeding. Objective: the aim of this study was to evaluate the validity of three non- invasive parameters in the prediction of esophageal varices in patients with compensated hepatitis C virus (HCV) induced liver cirrhosis namely insulin resistance, platelet count/spleen diameter ratio and right liver lobe diameter/albumin ratio. Methods: This prospective study included one hundred non-diabetic, non-obese patients with Child A HCV induced cirrhosis. All studied patients underwent a detailed history, thorough physical examination, biochemical workup, upper gastrointestinal endoscopy and abdominal ultrasound. Insulin resistance (IR) by the homeostasis model assessment (HOMA), the platelet count/spleen diameter ratio and the right liver lobe diameter /albumin concentration ratio for all patients were calculated. Results: The prevalence of oesophageal varices in Child A HCV induced cirrhosis were high, as 79 patients had oesophageal varices (79%). The 3 predictors demonstrated a high statistically significant correlation with the presence and grade of oesophageal varices (P values < 0.001). Among the 3 non-invasive predictors, the HOMA-IR score gave the highest accuracy at a cut-off value of 3. The next highest accuracy was associated with the platelet count/spleen diameter ratio at a cut-off value of 750. The least accurate of the 3 non-invasive predictors was Right liver lobe diameter /albumin ratio at a cut-off value of 3.5. Conclusion: Insulin resistance measured by HOMA-IR, Platelet count/Spleen diameter ratio, as well as the right liver lobe diameter/Albumin concentration ratio are non-invasive parameters that can provide accurate information pertinent to determination of the presence and grade of esophageal varices in patients with Child A HCV induced cirrhosis and can help physicians to restrict the use of endoscopic screening only to patients presenting a high probability of oesophageal varices. This is especially useful in clinical settings where resources are limited and endoscopic facilities are not present in all areas. Such is the case in Egypt, where there is a large number of patients who require screening for oesophageal varices.